For as long as we've known Ron Perry, it's almost impressive that he still manages to catch us by surprise. With each car that emerges from his shop - the Vintage Motorsport Group - comes a new idea. 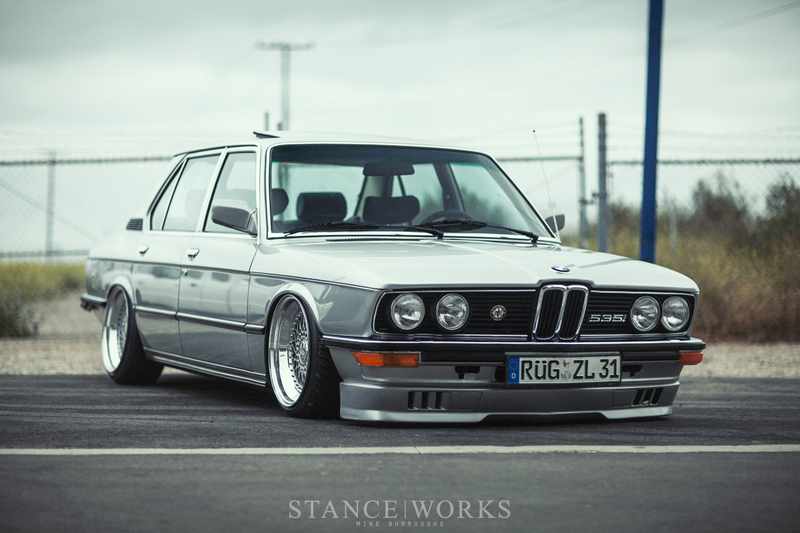 Ron continuously pushes his own comfort levels and boundaries to explore and find just how far he can push the idea of what defines a classic BMW restoration while still adding his own personal touches. Prior, I've said we've seen everything he has to offer; as part of the generation that has fathered the BMW community, everything from his road cars to race cars seemed to sweep the breadth of his tastes entirely. 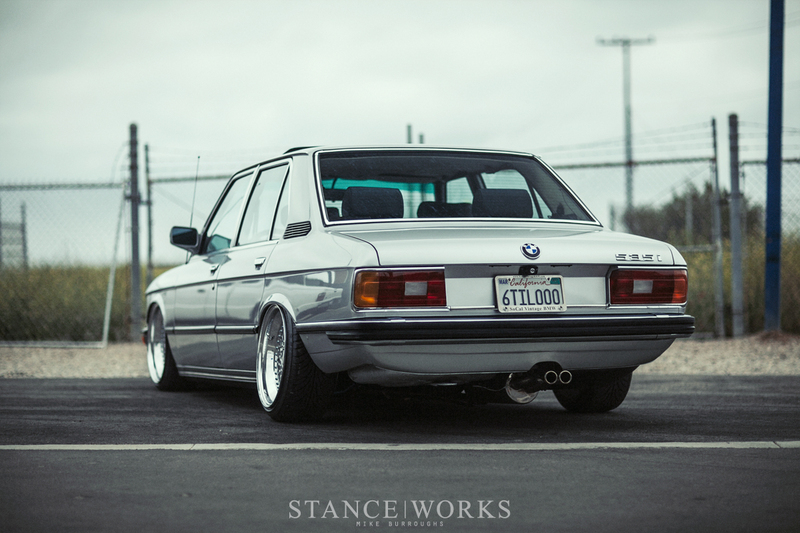 However, this time around, we're treated to his latest creation - a 1980 BMW E12 535i - and it's certainly his most fashion-forward yet. When I first met Ron, several years ago, we enjoyed a number of drinks and discussed our thoughts on BMW tuning. 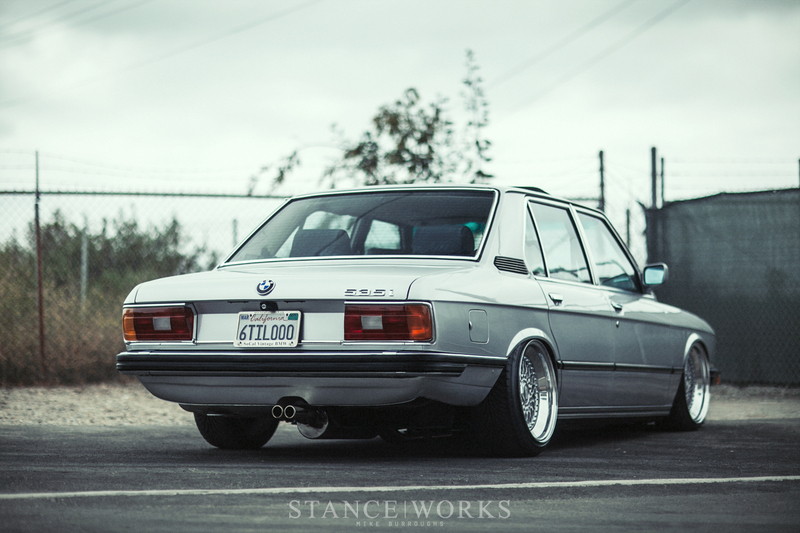 Ron made it clear that the idea of a "bagged BMW" was entirely foreign, and almost counter-culture to everything he had built in his decades-long career. However, intertwined with the bitter taste was something thoroughly enticing, and he wanted in on the action. It took a few years before anything came to fruition - Ron's a busy guy with a docket of builds, each waiting for their time in the paint booth and on the rack for the famous Ron Perry treatment, so it's unsurprising such a turn takes time. 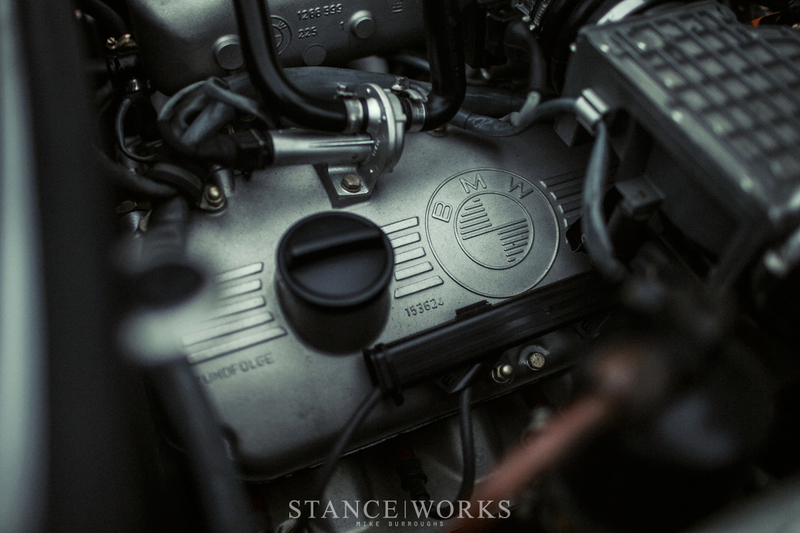 Today, we're faced by Ron's finished product - a restored, sorted, and stylish take on the iconic E12, the father of the 5-series lineup. Launched in 1972, its quite unlikely BMW ever envisioned one quite like this at the time, but fortunately for all BMW lovers, there's a lot love about this one in particular. 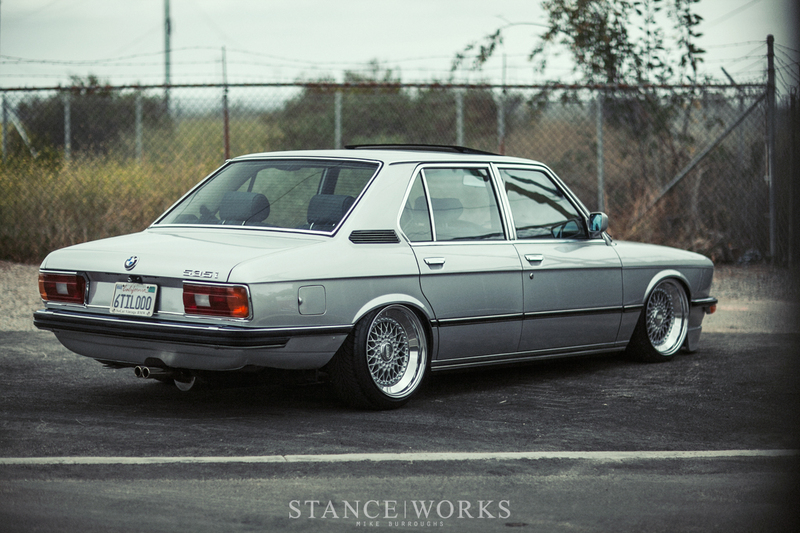 Ron began the build with a rough example: a US-spec 1980 528i. Ron tells me the car "lived a hard life," and knowing Ron, it's hard to imagine why he'd start with such a car; however, one glance at the odometer says it all. 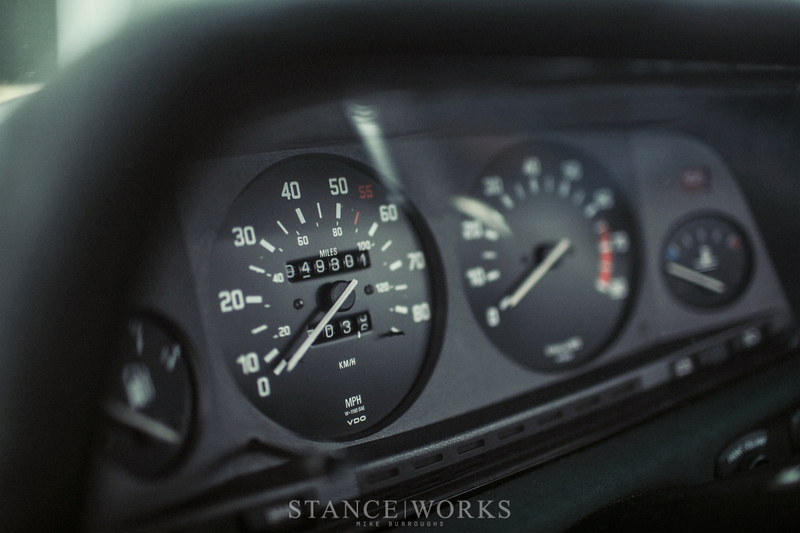 Just 49,000 miles have accumulated in 36 years of life - this one was worth saving. Ron stripped the car down to the chassis, perching it atop a dolly as he prepared it for a full respray in the factory Polaris Silver paint. Every nut and bolt was pulled, cleaned, and plated; every component was refinished, refurbished, or replaced. 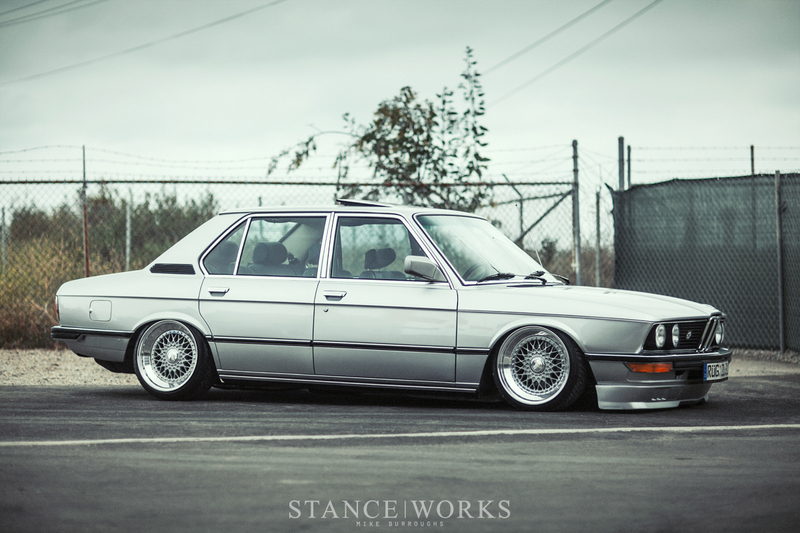 Ron's goal of returning his BMWs to "like-new" is a hefty one, but his work shows, especially with a glance underneath the car. 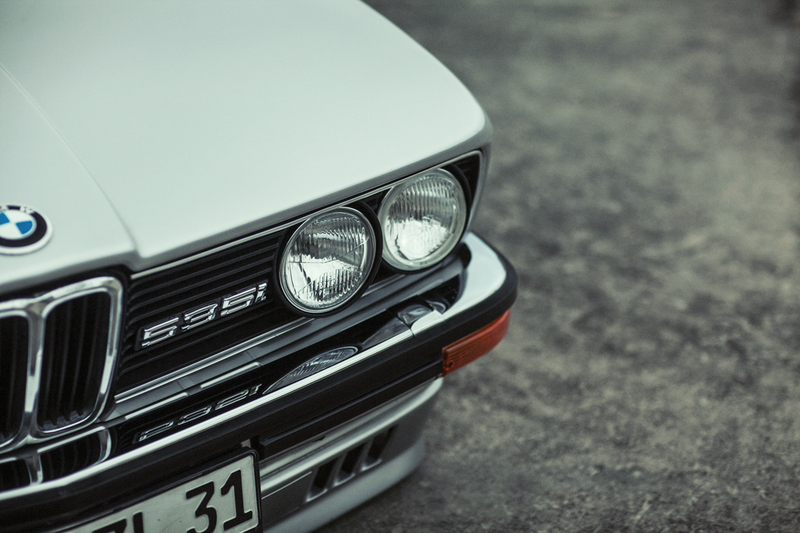 Under the hood, the M30 has been reworked and rebuilt, this time to 3.5l-spec, giving the sedan some welcomed power, while also bringing its "legs" up to spec to match the restored body. 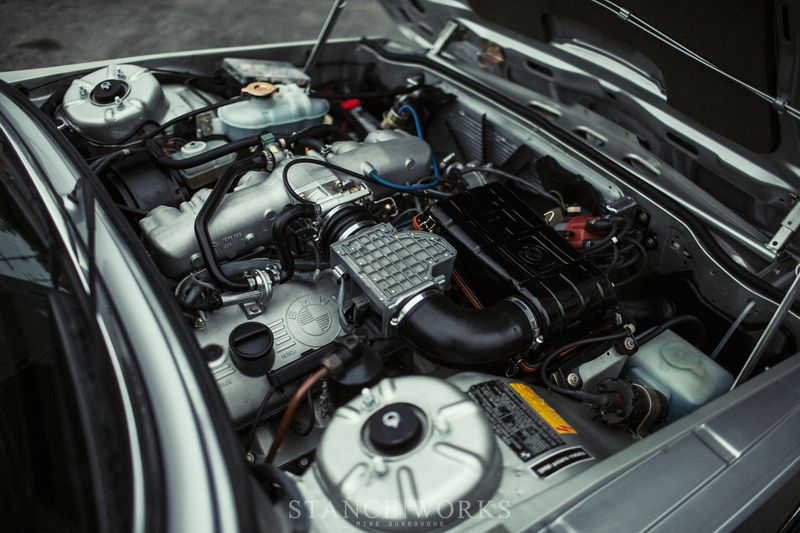 As is typical, everything's fit and finish is back to factory, meaning Ron's E12 can fit in with the best of them. 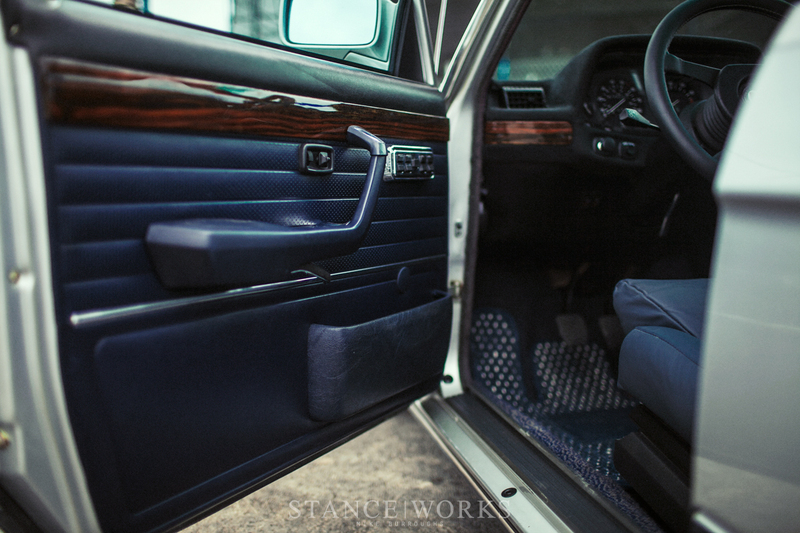 Inside the car, the original blue interior has been overhauled. 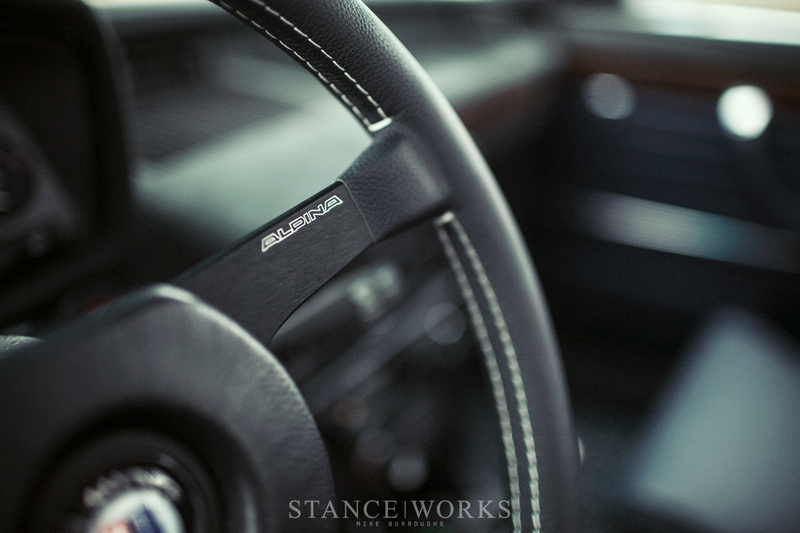 The door cards were cleaned, and the dash was wrapped in a black suede. Scheel seats were installed - a Ron Perry staple - and along with the rear seats, were re-wrapped in fresh blue vinyl. 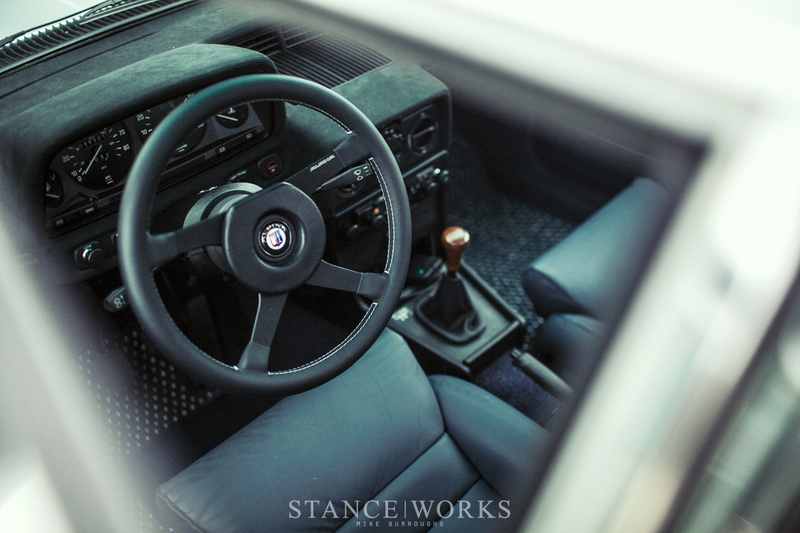 Small touches, like the classic 4-spoke Alpina wheel, give the inside some spark, while still allowing it to retain every bit of its stock elegance. Clearly, the exterior of the car is where Ron took the greatest liberties, but in reality, nothing strays far from the norm. Air Lift Performance struts give the car its phenomenal stance, while also performing double-duty to lift the car and give it both the driving characteristics and the handling BMWs are known for. Air Lift Performance's V2 management digitally controls the system, giving Ron a bit of peace of mind and instilling a bit of carefree driving characteristics. H&R sway bars help to steady the car and ensure the sporty dynamics in the heavy turns, and new components throughout the rest of the running gear finish things out. 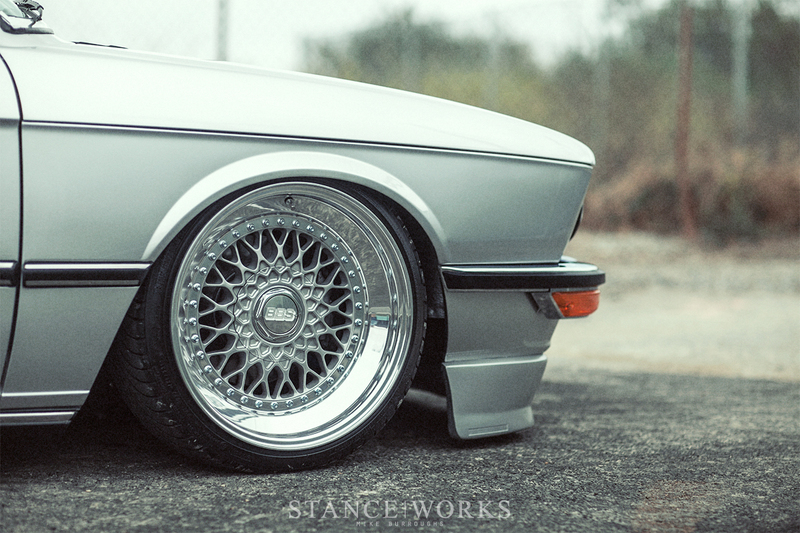 Ron's choice of wheel is tried and true: BBS RSs. In 17" and fully polished, they accent the Polaris Silver paint perfectly, and quarter-height hexes and polished caps give the old school wheels some modern flair. 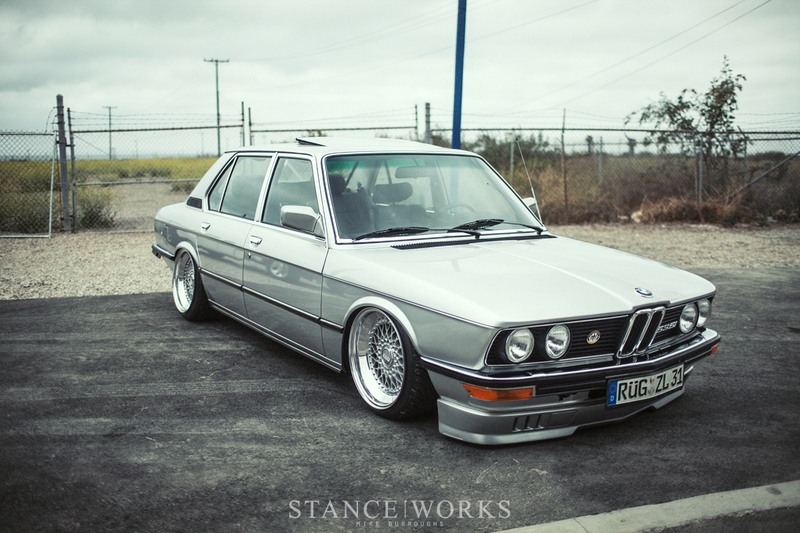 Euro bumpers and a front valence are all thats needed to finish out the style, keeping things otherwise all-original. With Ron Perry, it's never clear how long his latest build will stick around. For once, he claims he wants this one to remain; it seems he's having a lot of fun. In many ways, we hope it does too, as it's always sad to see them go. However, the sooner it goes, the sooner Ron's forced into building yet another Perry creation. In just a few short months, his E9 CSL Group 2 build will be complete and headed for Rolex's Monterey Motorsport Reunion, and we're eager to see it. But you never know... with Ron, something else might just surface between then and now. I need to add that the drivetrain was pulled from a same year tinworm savaged M535. 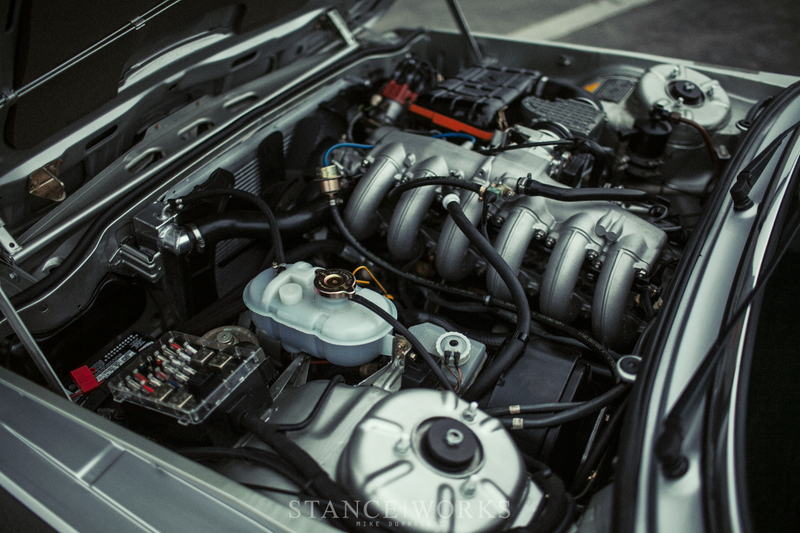 The engine is not an M30, but an M90. I know, because I’m the one who built it.